Q. How is your day going today? Slashie: Well, to say the truth it could be better due to some family issues. But the new year has started and we must push forward! Q. What were some of your favorite video games growing up, and what did you like most about them? Slashie: I played a lot of Super Mario Bros III, I liked how it was a miniature world with great variety on each stage, and the different abilities of Mario (Which, seen from today, are far too few… but they seemed like a lot back then). Q. What first got you interested in computers and video games in general? Slashie: It was school… I started receiving classes in some old Orange screen computers when I was 7 years old, and I immediately knew it was my thing… I managed to get a set of old BASIC programs (mainly games), and played them a lot. Then my mom bought an all powerful 486 (which was not that powerful about 10 years later, when we (finally) ditched it). That was the computer which grew with me and in which I played a lot and created my first games. Q. At what age did you first get into roguelikes, and how? Slashie: I think it was just before getting into college, I was about 15 years old. I was always looking for new cRPGs and one day I found Adom, which I discarded for its lack of aesthetics. One year later, while at college, I was already trying to program my first roguelike, and was collecting roguelikes like crazy. Q. What are your favorite roguelikes, and what do you think their best features are, and why are these their best features? Slashie: To say the truth, I haven’t played a lot of roguelikes lately… real life has taken it’s toll, and I’m using my limited spare time for developing other type of projects (Pixal). I like the idea of a roguelike that is easy to pick up and play, and thus DoomRL has been my favorite for a long time. From Adom I liked the variety of classes and races, I liked the universe of GearHead and DeadCold, and the possibilities for interaction of Unreal World. I am also a fan of grand scale world generation, but I still have to see a “real” game which implements it completely. Q. What video game developer or programmer do you most admire, and why? Slashie: I grew up admiring both Miyamoto San and Sir Garriott for their capacity of world creation. From what little I know from the Indie Industry, I admire Derek Yu for his achievements with Aquaria and Spelunky, and his support for the indie community in general. Q. What is your personal creative process for creating roguelikes? Slashie: Well, before jumping into development I usually think out 2 or 3 outstanding features for the game and envision in my head how the game would work out in general. I scribble a lot into easily discardable paper sheets and check out existing similar games for inspiration. Depending on the game, I also research a lot on the subject of the game (for example, if the game is based on an existing franchise, or simulates historical/natural events) which is important to me, as I seek to create consistent games. Then I make some final prototypes, do a rough plan having in mind the available time/resources and shoot out an activity list. Q. I’ve always noticed that you seem extremely organized in your management of development time, and in your work in general. Are you this organized in everything, or is development time unique? How has this organization been working for you, and would you recommend it to others? I remember I didn’t use to keep track of the time spent before… I began doing it after I got enrolled in a job for a company which keeps close track of all spent time. I think it got burned in my head and from then I try to measure everything out! I advocate always having an original plan with planned deviations, no matter how informal the project is. I also advocate having a growing list of activities, because these help when you crash against a development blocking scenario, you just have to tackle the next task in the list, and push forward. You better control how much the list grows though, to prevent completely overgrowing the original plan. Q. How have roguelikes and roguelike development impacted other parts of your life? For instance, I know I’m often daydreaming about new dungeon generation algorithms at the oddest times of the day and night. Slashie: I think they have impacted it strongly, because I now seek to make the best use of my spare time and not to “waste it” resting or doing non-productive things. I have to make the best balance because there are other important things on life (family, couple, body maintenance, spirit) which I sometimes wrongly ignore. Q. What was your inspiration for founding the Rogue Temple and Rogue basin? When did the idea originally form, and why? I remember roguebasin came first, I created it because I felt there was a need for a central knowledge base. Back then there was already roguelikedevelopment.org, and rgrd was running (of course). Still, roguelikedevelopment.org was at the hands of one person, and he couldn’t keep the pace of updating articles, and while rgrd was a great source of knowledge, it was disordered and untied. So I thought it was a nice idea to set up a site in which the knowledge could be stacked up and organized according to the guidelines of a committee. I set up the initial service and contributed a first batch of content. Roguetemple came from the need of a centralized news service, after the demise of already existent websites such as rlnews, which I used to refer to. I think both roguebasin and roguetemple benefited from the availability of technologies which were becoming widespread at the time (wikis and blogs) and which hadn’t been used by the roguelike circle. Q. How do you feel about how the Rogue Temple has done over the past few years, and what are your hopes for it’s future? Slashie: I think it could do with a bit more of updates… I sadly don’t have much time to play and review games, and the interviews have been coarse. I hope that at least the releases wires have proven useful for people. There have been some contributors but my hopes for the futures are for a bigger editorial staff, so that we can provide more quality content for the roguelike world. Q. For a long time, the Rogue Temple was fairly low volume (It’s still a little low volume, but it’s picked up quite a bit recently), did you ever get discouraged or how did you keep up your enthusiasm over all this time and hard work? To be honest, I had much higher hopes for the possible revenue it would have with an advertising service. After some months I knew it was just not gonna work and forfeit that idea, so all earning have gone back to hosting costs, which is ok enough to me. Q. What do you think is the hardest thing about being a roguelike developer, and why? Slashie: The hardest thing is probably that your work is not deemed valuable by the people around you, and you always have to explain how hard it is in spite of the simple appearance. Roguelikes are almost always underestimated and frowned upon, and that may hit your willpower strongly. Q. In contrast, what is the most rewarding thing about being a roguelike developer and why? Slashie: I think it may be the independence over the graphics designers and modelers and the capability of doing a game on your own even in these times of big teams and big budgets. As a roguelike developer, you can concentrate on some of the most interesting portions of creating a world and a universe, and you can make it real. Q. What do you hope will happen in the future of the roguelike community as a whole? Slashie: From what I see, there’s a lot of future for the roguelike community; yearly analysis show an increment in the number of roguelike games and projects each year, and I think we are part of a bigger trend in Indie games. I see more people knowing what “roguelike” means every time. For the future I am hoping for more fun and polished roguelikes to come out, and for the community to keep together and growing. Q. What message or advice would you want to give young and impressionable roguelike developers of the future? Slashie: My message would be: Be strong, follow your dream and don’t let people discourage you. Also, don’t be fooled into thinking of roguelikes are simple projects, and beware feature inflation! Q. If you could have one lasting impact on the roguelike community, what would you want that impact to be? Slashie: I would of course want to produce teh ultimate roguelike, with a massive randomly generated world and indirect/direct online interactions. I’d also like roguetemple to expand into including more integrated features as a community rather than a blog. Final question: Is there anything else you’d like to add? Slashie: I’d like to thank everyone following the temple, and thank you too for this interview and all your contributions to the scene! Me: I’d like to thank you Slashie. After all, the roguelike scene would probably not exist outside of rgrd had it not been for you! [b]Q. How is your day going today? Slashie:[/b] Well, to say the truth it could be better due to some family issues. But the new year has started and we must push forward! [b]Q. What were some of your favorite video games growing up, and what did you like most about them? Slashie:[/b] It was school… I started receiving classes in some old Orange screen computers when I was 7 years old, and I immediately knew it was my thing… I managed to get a set of old BASIC programs (mainly games), and played them a lot. [b]Q. At what age did you first get into roguelikes, and how? Slashie:[/b] I think it was just before getting into college, I was about 15 years old. I was always looking for new cRPGs and one day I found Adom, which I discarded for its lack of aesthetics. One year later, while at college, I was already trying to program my first roguelike, and was collecting roguelikes like crazy. [b]Q. What are your favorite roguelikes, and what do you think their best features are, and why are these their best features? Slashie:[/b] To say the truth, I haven’t played a lot of roguelikes lately… real life has taken it’s toll, and I’m using my limited spare time for developing other type of projects (Pixal). [b]Q. What video game developer or programmer do you most admire, and why? Slashie:[/b] I grew up admiring both Miyamoto San and Sir Garriott for their capacity of world creation. From what little I know from the Indie Industry, I admire Derek Yu for his achievements with Aquaria and Spelunky, and his support for the indie community in general. [b]Q. What is your personal creative process for creating roguelikes? Slashie:[/b] Well, before jumping into development I usually think out 2 or 3 outstanding features for the game and envision in my head how the game would work out in general. I scribble a lot into easily discardable paper sheets and check out existing similar games for inspiration. Depending on the game, I also research a lot on the subject of the game (for example, if the game is based on an existing franchise, or simulates historical/natural events) which is important to me, as I seek to create consistent games. Then I make some final prototypes, do a rough plan having in mind the available time/resources and shoot out an activity list. [b]Q. I’ve always noticed that you seem extremely organized in your management of development time, and in your work in general. Are you this organized in everything, or is development time unique? How has this organization been working for you, and would you recommend it to others? [b]Q. How have roguelikes and roguelike development impacted other parts of your life? For instance, I know I’m often daydreaming about new dungeon generation algorithms at the oddest times of the day and night. Slashie:[/b] I think they have impacted it strongly, because I now seek to make the best use of my spare time and not to “waste it” resting or doing non-productive things. I have to make the best balance because there are other important things on life (family, couple, body maintenance, spirit) which I sometimes wrongly ignore. [b]Q. What was your inspiration for founding the Rogue Temple and Rogue basin? When did the idea originally form, and why? [b]Q. How do you feel about how the Rogue Temple has done over the past few years, and what are your hopes for it’s future? Slashie:[/b] I think it could do with a bit more of updates… I sadly don’t have much time to play and review games, and the interviews have been coarse. I hope that at least the releases wires have proven useful for people. There have been some contributors but my hopes for the futures are for a bigger editorial staff, so that we can provide more quality content for the roguelike world. [b]Q. For a long time, the Rogue Temple was fairly low volume (It’s still a little low volume, but it’s picked up quite a bit recently), did you ever get discouraged or how did you keep up your enthusiasm over all this time and hard work? [b]Q. What do you think is the hardest thing about being a roguelike developer, and why? Slashie:[/b] The hardest thing is probably that your work is not deemed valuable by the people around you, and you always have to explain how hard it is in spite of the simple appearance. Roguelikes are almost always underestimated and frowned upon, and that may hit your willpower strongly. [b]Q. In contrast, what is the most rewarding thing about being a roguelike developer and why? Slashie:[/b] I think it may be the independence over the graphics designers and modelers and the capability of doing a game on your own even in these times of big teams and big budgets. As a roguelike developer, you can concentrate on some of the most interesting portions of creating a world and a universe, and you can make it real. [b]Q. What do you hope will happen in the future of the roguelike community as a whole? Slashie:[/b] From what I see, there’s a lot of future for the roguelike community; yearly analysis show an increment in the number of roguelike games and projects each year, and I think we are part of a bigger trend in Indie games. I see more people knowing what “roguelike” means every time. [b]Q. What message or advice would you want to give young and impressionable roguelike developers of the future? Slashie:[/b] My message would be: Be strong, follow your dream and don’t let people discourage you. Also, don’t be fooled into thinking of roguelikes are simple projects, and beware feature inflation! [b]Q. If you could have one lasting impact on the roguelike community, what would you want that impact to be? Slashie:[/b] I would of course want to produce teh ultimate roguelike, with a massive randomly generated world and indirect/direct online interactions. 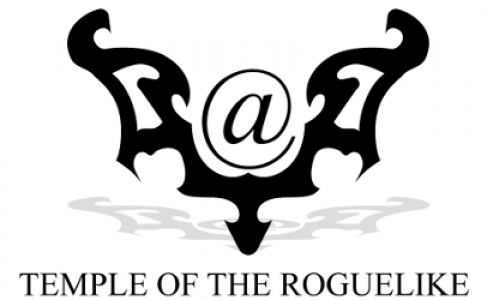 I’d also like roguetemple to expand into including more integrated features as a community rather than a blog. [b]Final question: Is there anything else you’d like to add? Slashie:[/b] I’d like to thank everyone following the temple, and thank you too for this interview and all your contributions to the scene! [b]Me:[/b] I’d like to thank you Slashie. After all, the roguelike scene would probably not exist outside of rgrd had it not been for you! Pingback: :: Temple of the Roguelike – Roguelike News, Reviews, Interviews and Information :: » Blog Archive » Interview with Slashie!